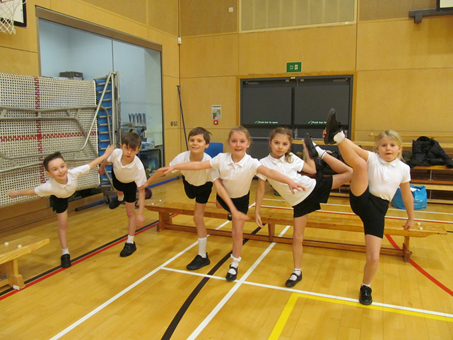 Congratulations to our Year 3 and 4 gymnastics team who took part in the Knowsley school gymnastics competition and came 2nd overall, with three of our team winning individual gold medals. The team will go on to represent St Joseph’s in the Merseyside Gymnastics Finals. Inspired by Jesus, we grow closer to God through prayer and worship. We always do our best and show respect, love and care for everyone. To be inspired by Jesus. We hope that your time with us will be happy and rewarding. At St. Joseph’s we take great pride in creating a warm welcoming school. Whilst your child is with us, we shall do everything we can to help him or her develop his or her potential and ensure that the school is a happy and stimulating place. St. Joseph’s was judged to be outstanding in all areas during two recent inspections. The school is situated in an excellent position, close to the Knowsley Leisure and Culture Park. This offers opportunities for our pupils to take part in a variety of sporting activities including swimming and BMX riding. Our pupils have also attended a range of cultural activities including pantomimes, plays and musical performances. If you would like to visit and see at first hand all that the school has to offer please contact us and make an appointment. You can contact the school via email using stjoseph@knowsley.gov.uk or by phone on 0151 477 8990. Please ask for Mrs D. Ely. If you require a paper copy of any of the information on our school website, then please contact us and we can provide this free of charge. RE Inspection – OUTSTANDING IN ALL AREAS AGAIN! I can’t do it….yet ! At St Joseph’s we encourage children to develop a mind- set that is open to challenge and not afraid of failure. With support from our staff, parents, families and the children themselves to develop the above characteristics, we will be preparing our pupils for success. If you would like any further information, or tips for how you can help to develop these characteristics in your child, please speak to their class teacher. Click here to view all term dates. Year 4 had the best attendance this week. Well done!!! Year 4 had the best punctuality this week. Well done!! !